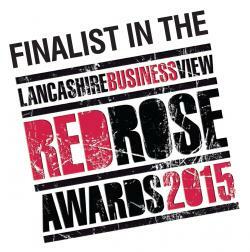 Red Rose Awards 2015 – Congratulations you are a finalist ! If you are a fraction of how chuffed we are at being shortlisted finalists in the Lancashire Red Rose Business awards , we are literally, over the moon !!!! This is tremendous news for Acorn Cleaners and will obviously have a positive impact on the Miele and Kreussler brands, if not the whole Wet Care Industry. Lancashire’s first green alternative to dry cleaning using a Miele Professional Wetcare system. This is the first Professional Wetcare cleaning system in Lancashire, and our investment in this technology is a true commitment in our belief in green technologies. Thank you so much for the help and support over the last year or so. To build up a brand new business from a derelict building over the last 15 months has not quite been like climbing Everest everyday, but perhaps a “K2” a month ! But nobody said it was going to be easy ………..